Thank you for joining us March 27 - April 23, 2019 as we support inclusion by shopping at Albertsons, Vons and Pavilions and donating at checkout to support Special Olympics Southern California athletes. Join the Special Olympics Southern California team. We serve athletes all year long. The Albertsons Companies Foundation and The Vons Foundation are celebrating 34 years of partnership with Special Olympics Southern California. Albertsons, Vons, and Pavilions contribution includes being the Title sponsor and official food supplier of the Special Olympics Southern California Summer Games. Since 1986, the partnership has generated nearly $6 million in financial support and budget relieving donations in food and printing. 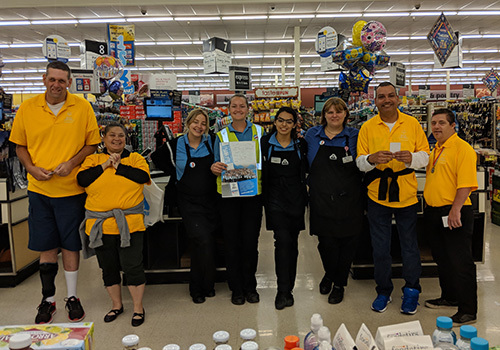 Along with raising funds for individuals with intellectual disabilities, Albertsons, Vons and Pavilions are one of their largest employers in the country.